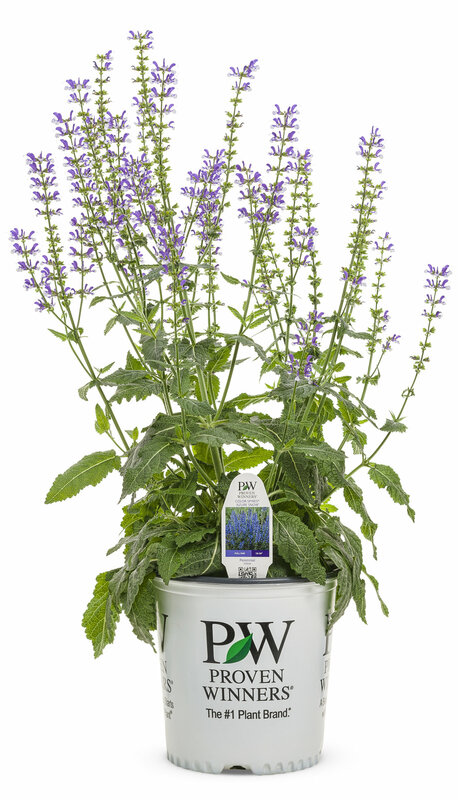 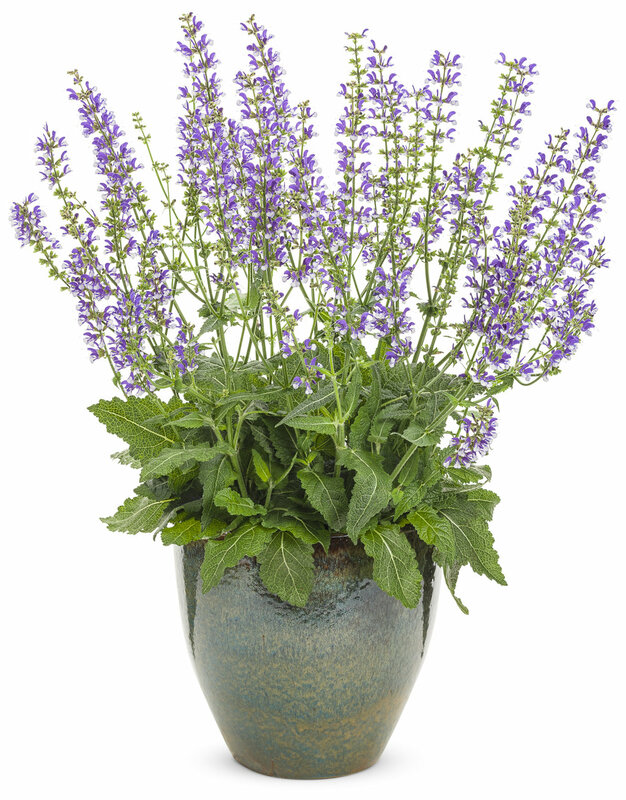 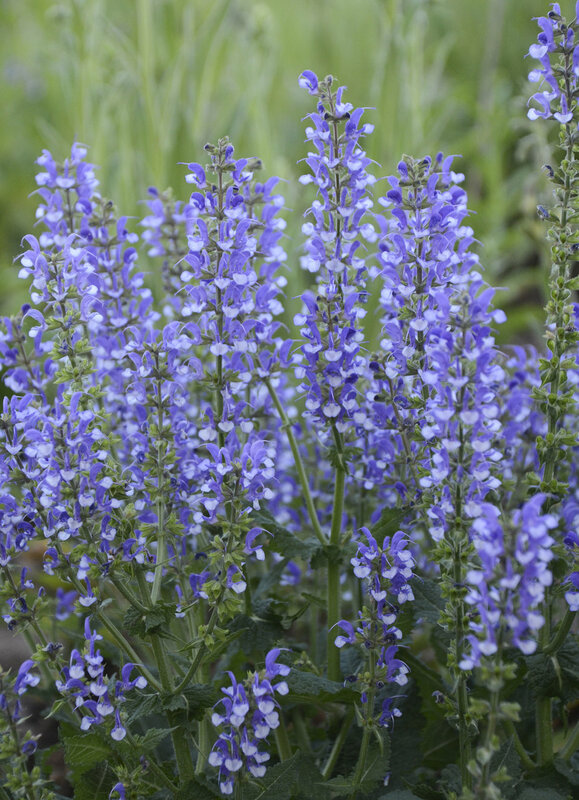 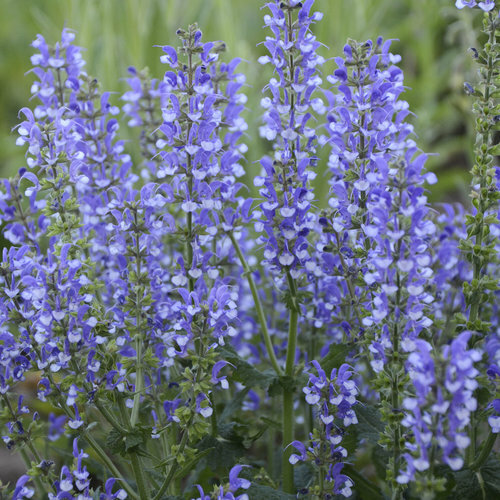 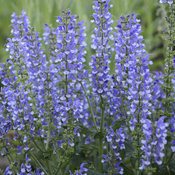 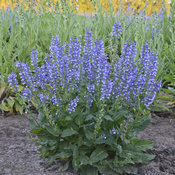 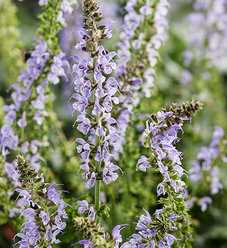 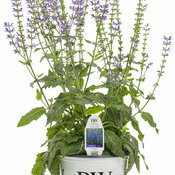 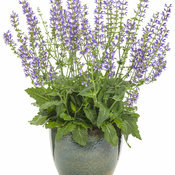 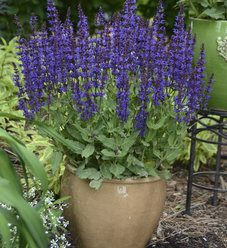 This colorful perennial produces deep violet blue and white bicolor flower spikes atop the neatly mounded, aromatic foliage. 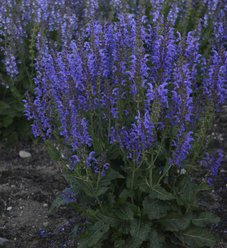 Lovely when planted in drifts. 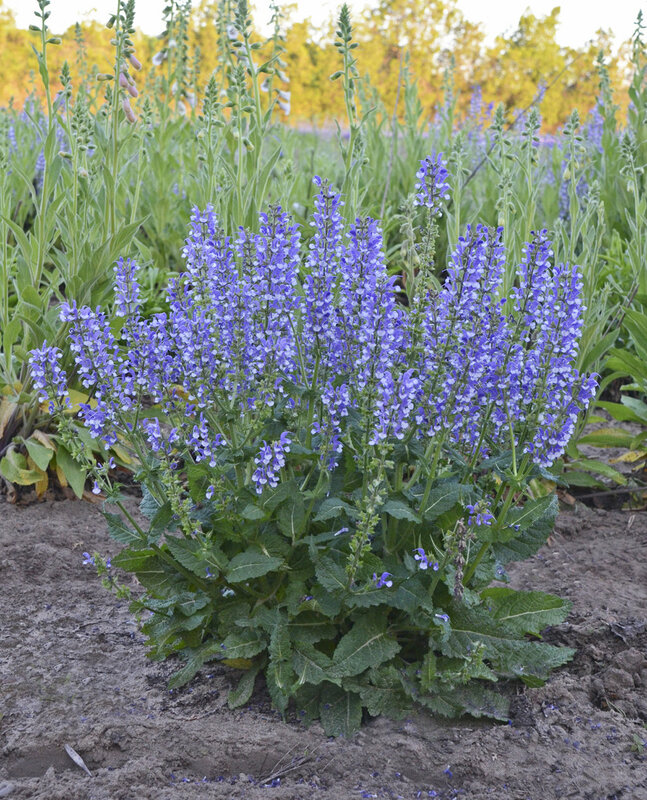 Attracts butterflies and hummingbirds.